Struttura in acciaio cromato, lucido o spazzolato, o nichel nero. Piano in legno, laccato o impiallacciato, oppure in cristallo trasparente o verniciato. Italo-brazilian architect, Ricardo Bello Dios currently lives and works in Milan, Italy. 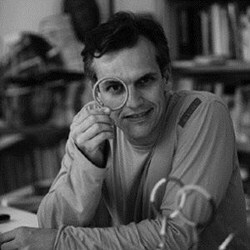 He attended the UFPE Faculty of Architecture and Urbanistic in Brazil, graduating in 1990. Successively, he attended post Bachelor courses at AA — Architectural Association (London) and Politecnico (Milan). From 1992 to 2002 he is an associate of Piero lissonits studio In Milan, in charge of managing the architect team developing architectural projects In 1996 he establishes his own studio in Milan, and since then has been active in architecture and design. His works range from fashion store and showrooms planning, furniture design, offices, private residences and hotels. The studio has executed projects in Western and Eastern Europe, North and South America and Asia.